Time after time I hear from teachers and caregivers that they have a child who is great at saying all the words right (decoding), but that they have no clue what they have read. Unfortunately, this is a common problem with our young readers. Generally a great amount of effort is directed to teaching a child to decode words yet the comprehension piece is not addressed with the same vigor. Decoding, comprehending and being fluent are all important pieces of being a strong reader and in my opinion should all be given equal modeling time. This week we are going to look at how you can model comprehension strategies for your child. There are several comprehension strategies that readers can use when reading. These strategies can be modeled for very young children and work equally well for adults. The key is that we model our thinking for each strategy to the learner. When we model, we think aloud while reading to or with the student so that they can hear our thinking about what we are reading. Let’s look at what this would sound like as we delve into each comprehension strategy. Readers make connections to the text (books, magazines, etc.) using their background knowledge (schema). There are three types of connections: text-to-self (connecting a text to something in your life), text-to-text (connecting a text to another text) and text-to-world (connecting a text to something in the world). What does it sound like when we are modeling our thinking to a child? This part of the story reminds me of…. Questioning helps to clarify and deepen understanding of text. We often categorize questions into two categories- thin and thick. Thin questions generally have one right answer and can be found by referring directly back to the text. Thick questions generally have more than one right answer and require the reader to use their own thinking plus information found in the text to answer. Determining importance involves deciding what information is important and what information isn’t essential. This is a key strategy to use when navigating non-fiction text. It’s crucial to teach children the features of non-fiction text such as captions, titles, italicized and bold-faced words, graphs, etc. so that they can utilize that information to determine importance. I’m going to look through the table of contents and the pictures first to help me get a feel for this text. When we infer, we read between the lines. This can be challenging for students because they have to use the text and their own thinking to develop meaning. Inferring involves predicting, drawing conclusions, finding meaning and using evidence from the text. When I read_____, I think_____, because_________. As I read, I’m going to jot down notes of things that I think are important. This is probably the most sophisticated of the strategies because your reading and thinking is constantly evolving. You have to summarize, draw conclusions, pull things together and respond. Basically, you are using all of the other comprehension strategies together to shape your understanding. These are the facts____ and this is what I’m thinking____. Though it’s helpful to model each strategy separately, it’s important to remember that we utilize multiple strategies when reading and that some are more useful than others when navigating text. Spending time modeling these strategies when reading to or with your child will help your child develop their comprehension while reading. 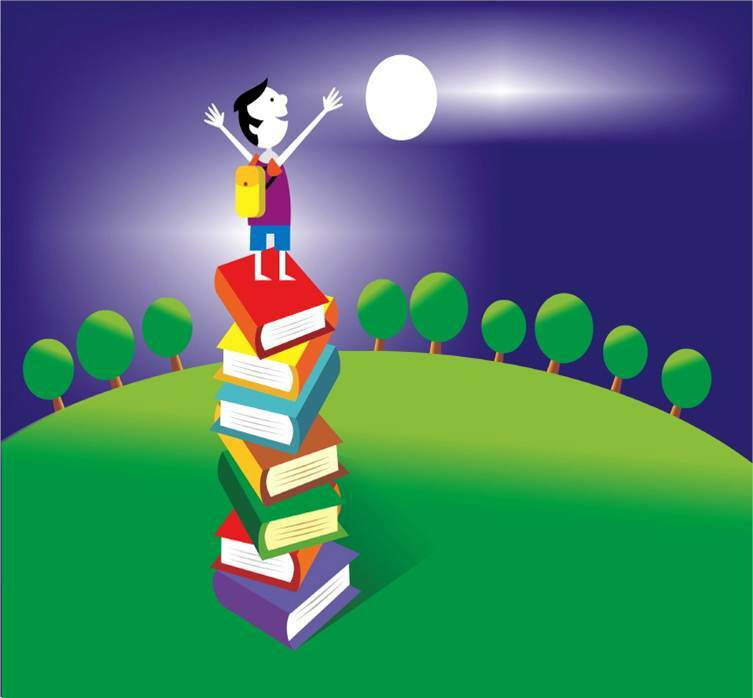 Would you like to read more about helping your child with comprehension strategies? 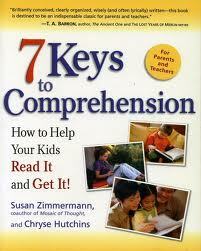 A great resource for parents and teachers is the 7 Keys to Comprehension by Susan Zimmermann. 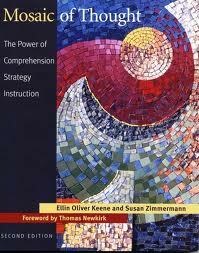 Susan is also the co-author of one of the best and first books on reading comprehension called Mosaic of Thought. Interested in texts that can be used to model each comprehension strategy? Then, join us tomorrow for a special bonus post this week. I will be highlighting some of my favorite texts to use to develop each strategy. What a wonderful and very helpful post. I could have used this advice when my daughter was a young reader. She had some learning issues, and following a pattern like you suggest would have been so helpful to me as a parent. She is only now embracing reading at age 27. Excellent post! I found your blog yesterday and it’s fantastic. I’ll certainly be keeping my eyes open for new posts. My eldest has huge trouble with comprehension. It takes all his concentration to figure out what each word says that by the time he gets to the end of a sentance he hasn’t got a clue what he’s just read. Ella, welcome! I’m so glad you found us. I hope you continue to find lots of useful ideas. I post each Monday and occassionally have a few bonus posts during the week. Jodie, This is very timely because I am being observed by my principal on Tuesday as I teach reading strategies! I am pulling in some of your inferring strategies with one of my favorite books, Bringing Rain to Kapiti Plain. Thanks! Great, good luck on your observation. I’m sure you will do wonderful!